We have been blessed with a long summer this year, although it was relatively cold for Greece. The temperatures were around 28 degrees until about this Monday, but suddenly the weather decided to change. I am writing this post snuggled up in one of Jim’s cardigans, since all my winter clothes are still in storage, and outside it is 6 degrees. No, I’m not kidding! As you can understand, I am super happy that I made this particular Sheona hack this week because it’s the perfect things to wear when it’s cold. 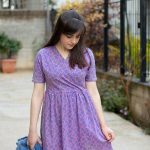 Without any further ado, today I’m going to show you how to add elbow patches to your Sheona top or dress. In this hack I will be combining little additions that I showed you the previous weeks. 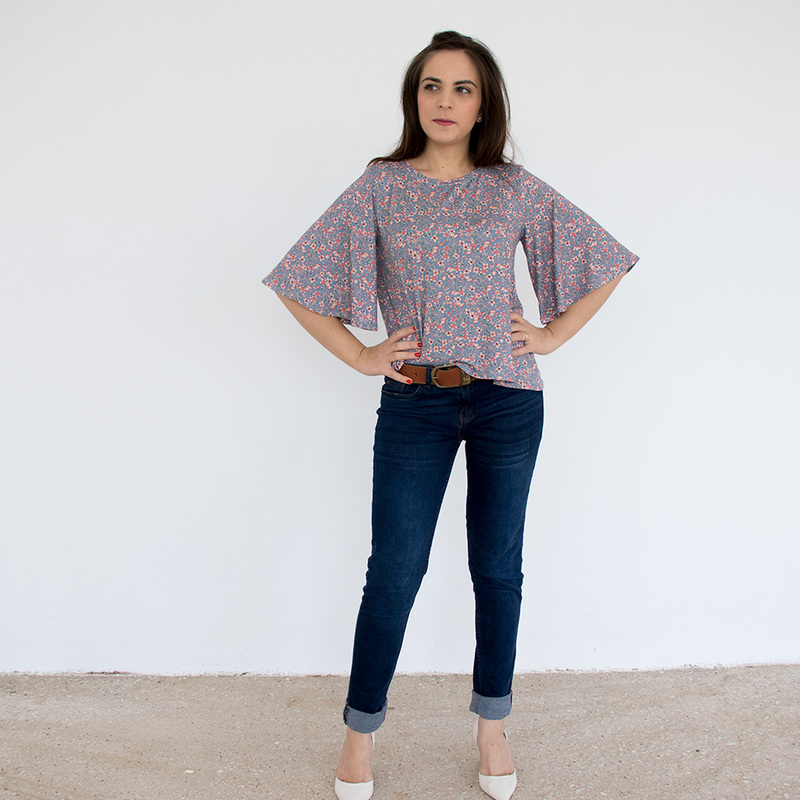 More specifically, I will be lengthening the sleeves and adding cuffs to my Sheona top (you can find the tutorial for that HERE) and I will also be adding a contrasting neckband. I wanted to create a warm and cozy “sweater type” top and this French Terry from Lamazi Fabrics was the perfect choice. It is soft, very warm on the inside and I just LOVE it. 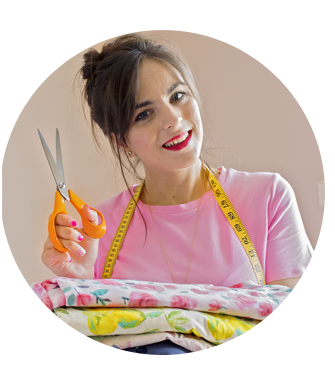 You can find more fabrics like this in their gorgeous shop. 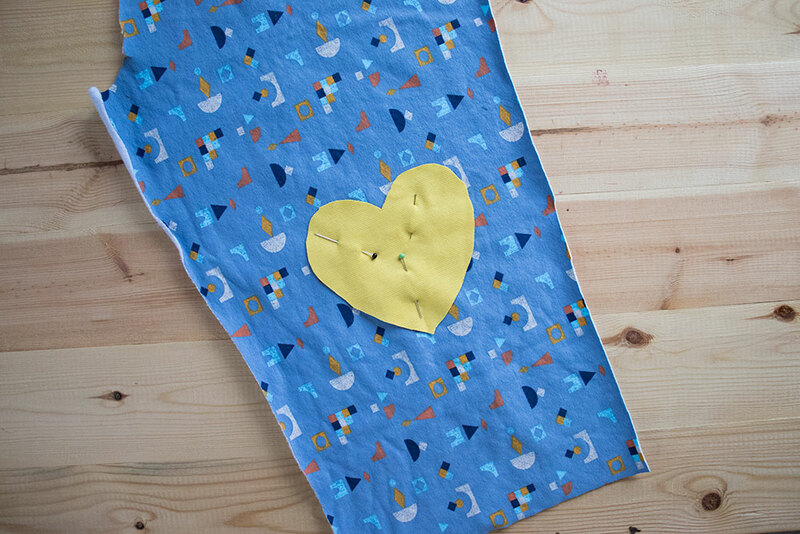 For my version, I wanted to create a heart shaped patch, but you can make an oval shaped one if you prefer. The first thing I did is I drew a heart on a piece of paper, trying to imagine how big I wanted my patch to be. But because it was a bit hard to determine both the size and the correct placement on the sleeves, I decided to do the following: I cut out all the pieces for my Sheona top out of the fabric. Then I pinned the seam of the sleeve wrong sides together, as if it was sewn and tried it on. That way I could visualize better how big I had to make the patch and where exactly I had to place it in order to be right on my elbows. I used a few pins to mark the position and then removed the sleeve from my arm and cut out the patches out of the fabric. 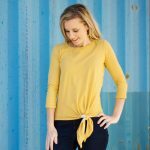 I wanted to make them in a contrasting color so I found a scrap of yellow ponte di Roma which was perfect for it (in retrospect I think I would have preferred them in navy, like the neckband though). I cut out 2 patches, one for each elbow and then pinned them on the sleeve, like you see in the photo. 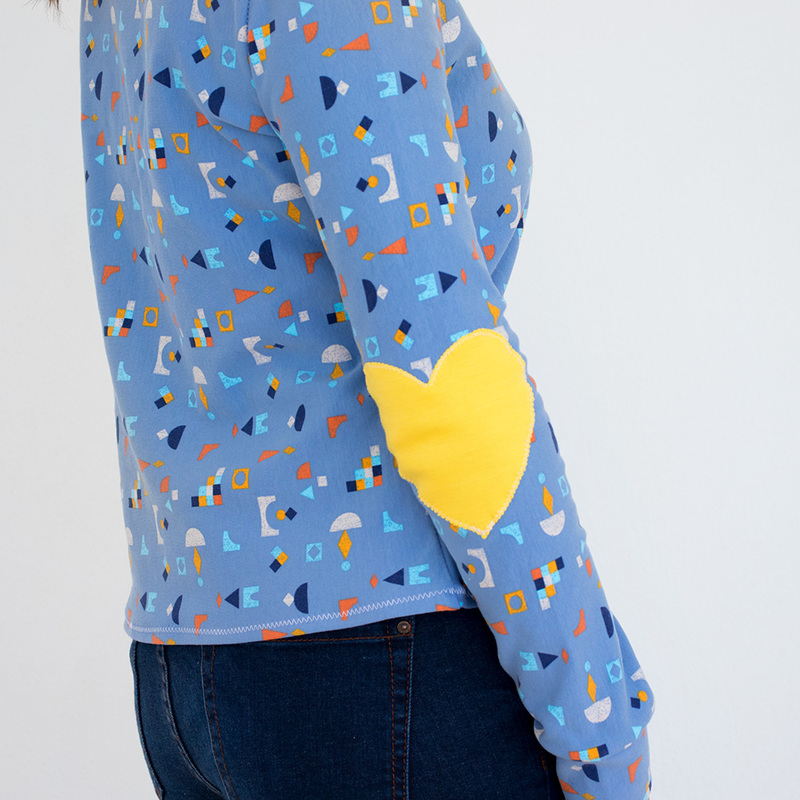 To applique the patches on to the sleeve, I just used a zigzag stitch on my sewing machine and stitched around the edges of the heart. I gave them a good press and continued with the construction of the top as usual. And that’s actually it! It’s not complicated at all and this little detail adds a different vibe to the top, don’t you think? I hope you give it a go and can’t wait to see your makes! Want more hacks? 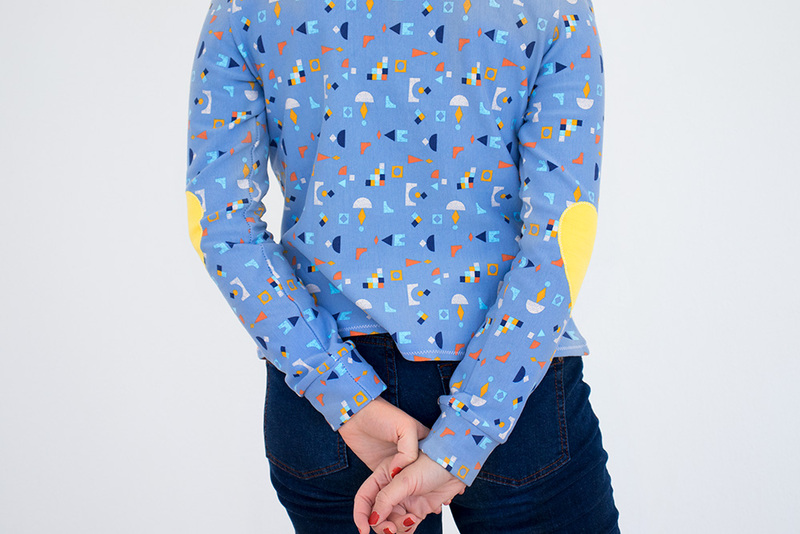 Check out how to create flutter sleeves HERE. 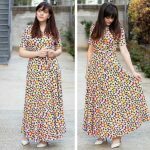 How to turn your Sheona into a maxi dress HERE. 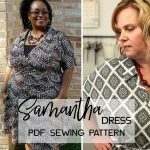 I’ve done 15 hacks for the Sheona dress & Top. Watch my vlog to see them all in action!